Totally addicted to travel…. the only cure for the addiction: more travel. The Compulsive Traveler travels to some of the most unexpected ports in the world from the old to the new world, throws in a bit of history and makes us understand what a port is about. The Compulsive Traveler visits the underwater world to show us why life is more fun underwater. New to diving but surrounded by experts, he shares his experiences and awe with his viewers. Divers will be charmed; non-divers will want to dive. The Compulsive Traveler, as an incurable romantic who believes that a marriage will last forever if it starts out with the right vacation, takes you to the world’s most romantic wedding and honeymoon spots. The Compulsive Traveler journeys far and wide around the world exploring the great outdoors and some offbeat great indoors and sparks up the trips with his unique mix of passion and inquisitive observations. The Compulsive Traveler explores one of the great rituals of every culture and takes us through the experience of the different shopping styles around the world. 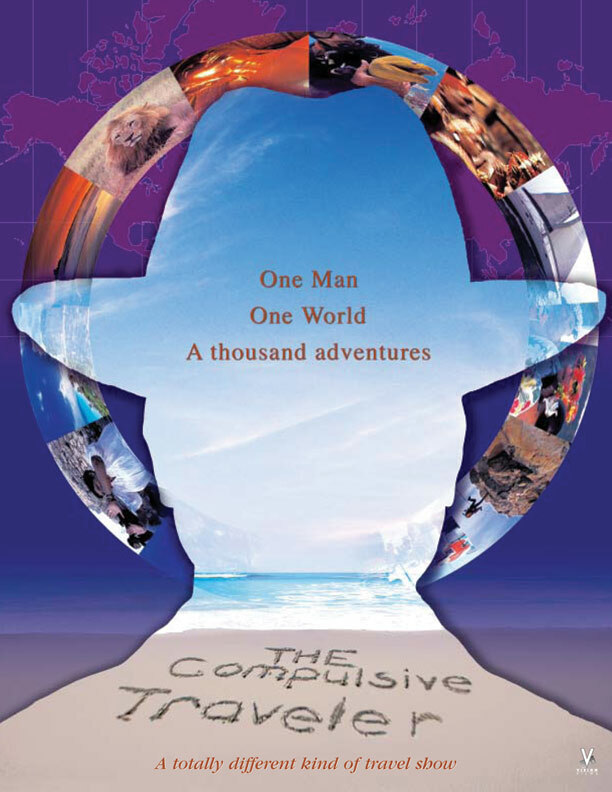 The Compulsive Traveler explores his own yearning for adventures of a different kind, taking us on some dizzying spiritual, anthropological and culinary journeys. The Compulsive Traveler experiences the old yearning for life on the high seas by hopping from five-star cruise ships to windjammers and live aboard dive boats. The need to party is one of the most necessary social drives in every culture. The Compulsive Traveler finds the most amazing festivals and carnivals around the world and joins in. Knowing that the grass is always greener elsewhere, The Compulsive Traveler travels the U.S. in search of the grand, the exotic and off beat. The Compulsive Traveler visits the most extreme underwater places to show us why life is more fun underwater.